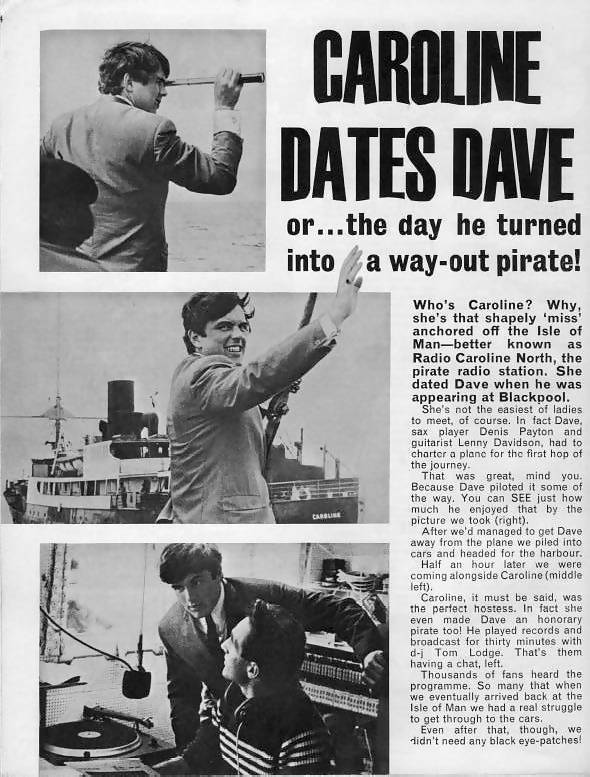 This article is from Rave & Hit Parade magazine, October 1964, and covers the time that drummer Dave Clark visited Radio Caroline North. There is a mistake in the article. The DJ who interviewed Dave, and who is pictured with him in the studio, is Alan Turner not Tom Lodge. Back to the previous page of Alan's photos. Back to the memorabilia index.